This exhibition is no longer on view. A new gallery, The First Ladies, opened November 19, 2011, on the Museum’s third floor. The white chiffon one-shoulder floor-length gown worn by Michelle Obama and created by designer Jason Wu was displayed in a gallery added to the museum’s “First Ladies at the Smithsonian” exhibition. The “A First Lady’s Debut” gallery included 11 gowns worn by first ladies from Mamie Eisenhower to Michelle Obama. 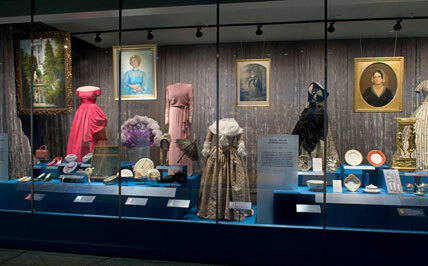 Together, the two galleries that made up the “First Ladies at the Smithsonian” exhibition featured a total of 24 dresses and more than 100 other objects, including portraits, White House china, personal possessions and related objects from the Smithsonian’s unique collection of first ladies’ materials. For nearly a century, the First Ladies Collection has been one of the most popular attractions at the Smithsonian Institution. On display in the main gallery were 14 dresses including those worn by Grace Coolidge, Jackie Kennedy, Eleanor Roosevelt, and Helen Taft. 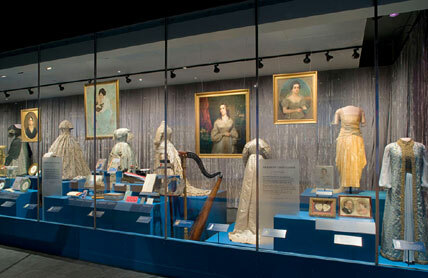 The exhibition also featured portraits, White House china, personal possessions and related objects from the Smithsonian's unique collection of first ladies' materials. 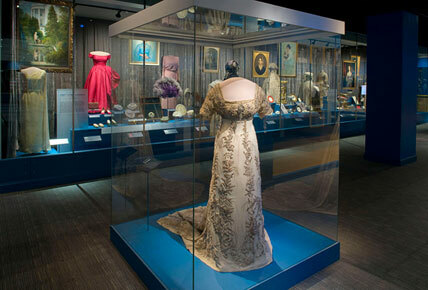 Showcasing premier objects from the nearly century-old First Ladies Collection, this exhibition covered the evolution of the First Ladies Collection, the tradition of the inaugural gown, and a first lady's contribution to the presidency and American society. The “A First Lady’s Debut” gallery focused on the public interest and media coverage of the first ladies’ “debut” during inaugurations and includes contemporary accounts of first impressions of each woman and the role she might play in the White House. Also included in the gallery were watercolor sketches of 14 gowns from the collection.